Whether you are a retail location needing a dependable ice supplier to better serve your customers or are in the restaurant/bar industry needing a delivery asap; Emergency Ice will deliver! Emergency Ice delivers packaged ice to stores and to the hospitality industry across the Dallas-Fort Worth Metroplex and Central Texas; 24/7/365! Need ice to help keep you from getting hot under the collar for an upcoming Special Event? Emergency Ice has the experience and know how to get the job done right the first time. From the mixologist searching for the perfect cool to the shipper that relies on dry ice to keep product integrity; Emergency Ice is the reliable source. 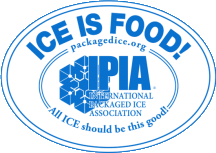 Do you own a business with commercial ice needs? Emergency Ice is your source for a comprehensive range of ice products. We have hundreds of locations to pick up ice around the metroplex. Click here to find out the answers to the most common questions. Use our ice calculator to find out how much ice you will need for your event. Mr. Cool Snow Parties is your year-round snow party service provider, and with over 50 years of experience, we know what it takes to make a party cool! Why do more businesses and families prefer Emergency Ice? No order is too large for us to fill, and our extensive resources and state-of-the-art equipment make it easy to fill virtually any order. We aim to fill every order quickly, so you’ll feel confident ordering ice at any time for any reason. We’ve provided ice for all sorts of special events, as well as your every day business needs. Some of the events we’ve provided ice delivery to include The State Fair of Texas, Large Multiple Day Concerts, PGA Golf Tournaments, College Football Games, NCAA Sporting Events, and a number of local festivals, concerts, and house parties.Do you have a special request? Our experienced team can put together a swift delivery whether you need one of our hot shot deliveries for your restaurant/bar, like bulk ice and ice bags, or you have a last-minute request for a catered party. We are the one you can count on! We handle orders of any size! Emergency Ice, Inc is a Texas-based business that has met the commercial ice requirements of our area for more than five decades. Our unmatched customer service has helped to provide ice, ice cubes, and related products to bars, restaurants, and events across our service area. As a Dallas ice company, Emergency Ice focuses on fast, reliable, superior ice service to the Dallas-Fort Worth area. The answer is simple. Choose Emergency Ice because we have the tools and man-power to effectively deliver in all of the services that we provide to our communities. Immediate ice delivery is our specialty. With over 70 trucks in our fleet we have the equipment necessary to meet the needs of our service foot print. Our goal is to create fans of Emergency Ice and the only way to accomplish that is to exceed customer expectaions. We believe our routing system is the best in the business. We have a simple system in place and in peak season we regularly check location usage to make sure our frequency of delivery is sufficient. In the event a location has a ‘run’ on ice we have the infrastructure in place to get a same day delivery sent out. Dry ice delivery is one of our ‘cooler’ services. We are able to act as a dry ice supplier at both the commercial and consumer levels. Rely on Emergency Ice to safely deliver your dry ice products for your needs. Nothing like being at an event and getting a warm beverage. That will not happen with Emergency Ice. Emergency Ice can staff your event or recommend proper storage and product amount for needs. We also have enough equipment and staff on stand-by for any situation. If you are looking for peace of mind for your ice deliveries, search no longer. Emergency Ice will do whatever it takes to get to the solution for your ice needs. We provide service that can’t be beaten and ask you to reach out to us the next time that you need ice on the spot! If you are looking for peace of mind, search no longer, we will do whatever it takes to get the solution for your ice needs. Emergency Ice exists to give service that cannot be matched. We are about the relationship! We've Got This Down Cold! Do you operate a business with ice needs? Emergency Ice is your experienced resource for a comprehensive range of ice products. From carving blocks to cocktail ice and everything in between, our ice products are diverse and suitable for virtually every ice need. Do you require ice at the last minute? We exist to deliver ice at any time. Would you like to arrange regular delivery of ice for your business? We will set up a reliable and hassle-free schedule of ice delivery service for you.